The Benue chapter of the Peoples Democratic Party (PDP), says it will attach 40 persons to canvass for votes in every polling unit as part of efforts to ensure victory in the 2019 general elections. 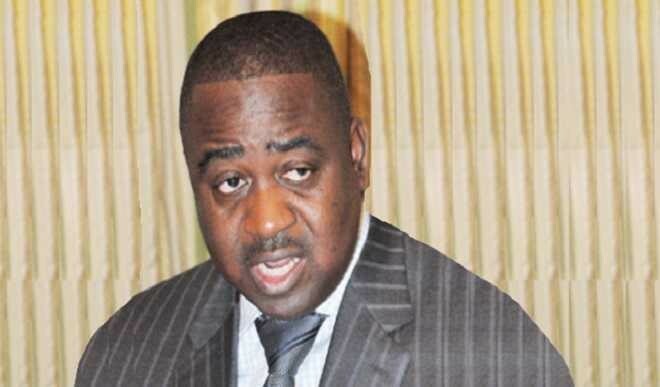 Former Benue governor Gabriel Suswam, who disclosed this on Monday in Makurdi, during an expanded Caucus meeting of the party, said that the aim was to ensure that every polling unit was captured toward “total victory”. “We are targeting overwhelming victory; that is only possible if we can sweep every polling unit,” he said. He said that the campaigns would take a unique dimension so as to have great impact, and challenged PDP members to be “very serious and committed”. “No one should feel too big to coordinate a ward or polling unit for the overall benefit of the party,” he said. Former Senate President, Dr. Iyorchia Ayu, in his remarks, enjoined all PDP members to participate actively in the campaigns, to ensure victory. “We have our eyes on victory and shall not allow anything to distract us,” he said. Gov. Samuel Ortom, in his address, said that the party would take advantage of the poor performance of the All Progressives Congress (APC), to win the elections. Ortom said that President Muhammadu Buhari’s key men were hurting his chances by the “unguarded statements” that had become their trademarks. “Some of the President’s key men speak carelessly and make it difficult for the society to trust the APC,” he claimed. He said that Alhaji Atiku Abubakar, the PDP Presidential flag-bearer, was capable of taking the country out of its current challenges, and urged Nigerians to vote him into power. Ortom advised security agencies to arrest anyone found with illegal arms, and promised to assist them to mop up all illegal arms in Benue. The Chairman of the party in the state, Mr John Ngbede, urged aspirants that lost the primary elections to work with those that emerged, so as to ensure victory. Ngbede also advised the candidates to initiate peace meetings between them and those they floored during the primary elections so as to form a united and cohesive force ahead of the general elections.